Locorotondo is a pleasant town in the province of Bari, placed on top of a hill, from where it has a wonderful view of the valley in front of Martina Franca. Its ancient urban structure has a round shape and is developed around the Mother Church. Its name, as the place-name suggests, derives from the particular structure of urban traffic for which, in Latin, was called Locus rotundus. 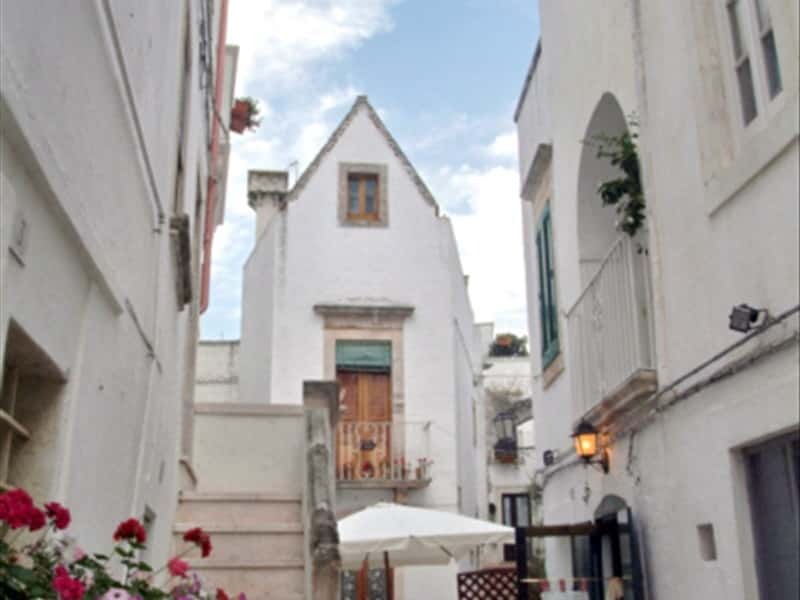 The ancient nucleus of Locorotondo, once surrounded by walls, is characterized by its narrow streets, to the Baroque architecture of local stone, for its whitewashed houses and the pointed roofs made with dry gray slabs of stone called "cummerse . Its Greek origins cannot be proved as the first historical document that reports the name Locus rotundus is dated 1195. This territory is famous for the production of the "White Locorotondo" DOC wine, which re-propose the traditional activities of high quality wine houses of this part of Puglia. The Mother Church, entitled to St. George, is situated in the town's centre and was built between 1790 and 1825. The Morelli building, instead, is a beautiful example of Baroque style in which it is possible to admire a beautiful portal and with balconies of wrought iron in petto d'oca style (goose breast). This town web page has been visited 17,972 times.